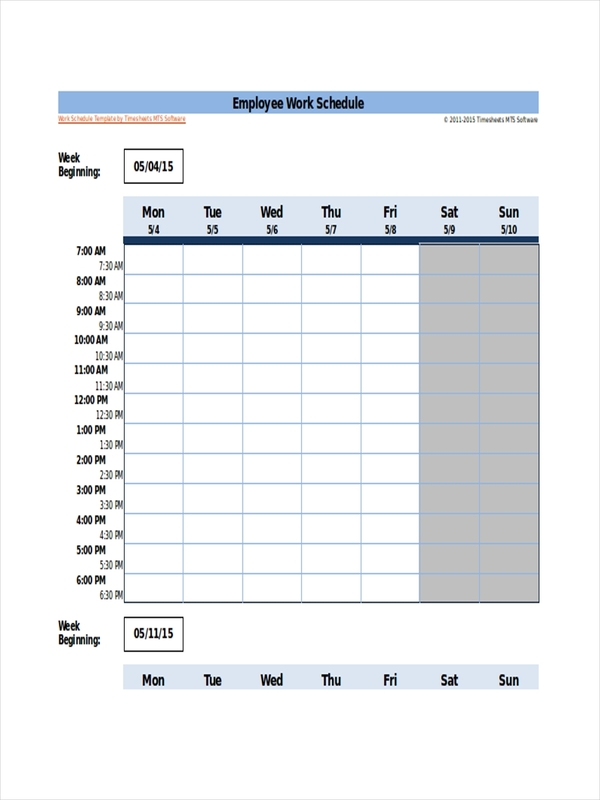 In a work setting, it is an unavoidable truth that each employee has their schedules. However, to cover up the whole production staff and to avoid any lapses or cases of inadequate number of people working, a shift schedule has to be created. This is also to accommodate the employees’ personal needs. 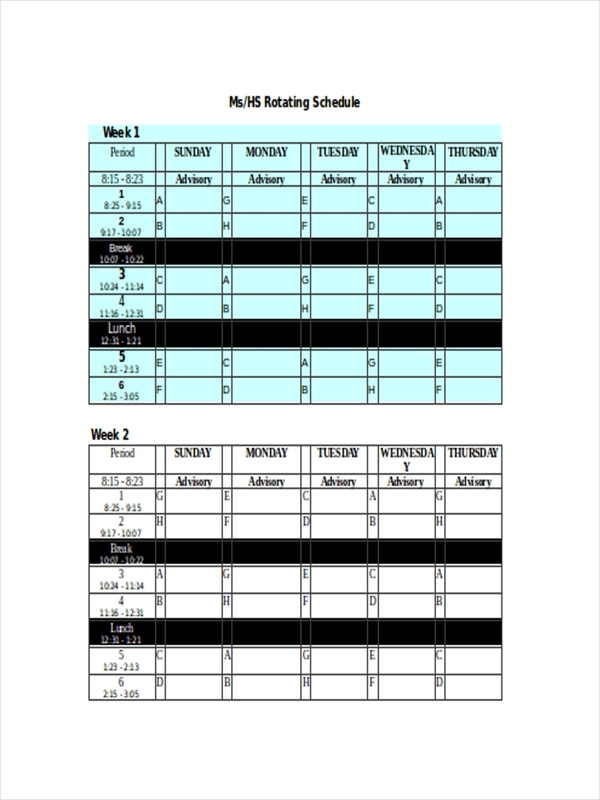 However, making a shift schedule is not an easy job. You need proper coordination with the management and the employees. You also have to consider which methods work effectively, whether it should be a weekly schedule, monthly schedule, or daily schedule. All these requires talent, dedication, and undivided attention. 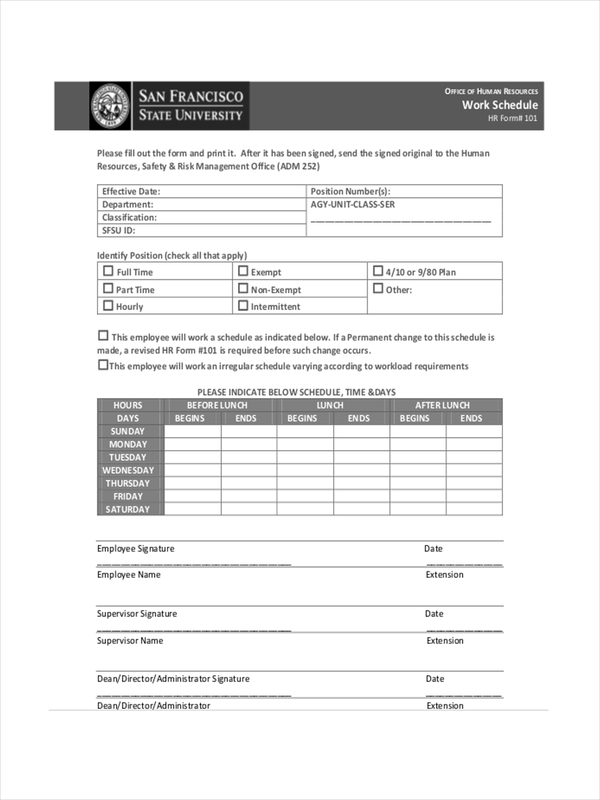 A shift schedule is a document that contains an informative and descriptive data of the times and periods and which group of people or individual is assigned to perform a task. It usually comes in different methods. 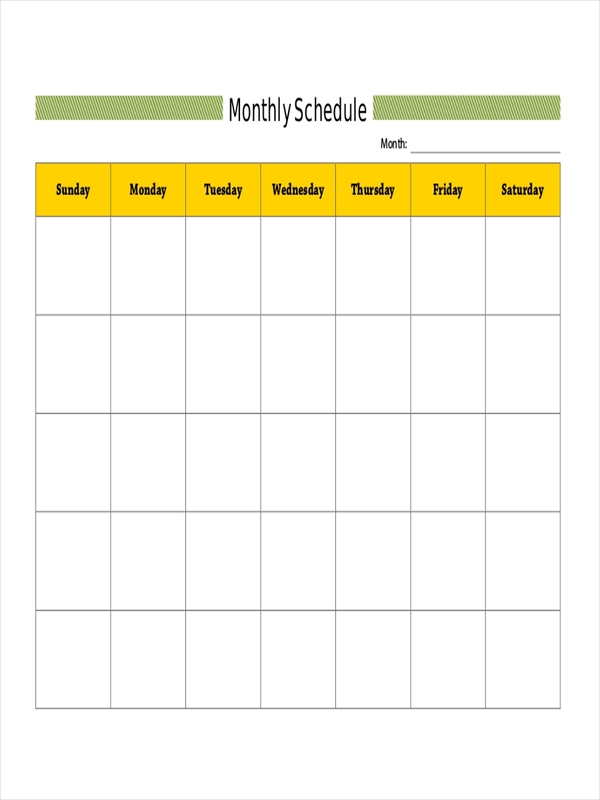 Some companies would use weekly and monthly schedules to give proper notice to its employees. When a shift schedule is drafted, it usually involves proper observance of the work hours. Most often, businesses who operate twenty-four hours a day are the ones who use this type of schedule examples. They use it to cover the entire work production without having an employee work for that entire day. 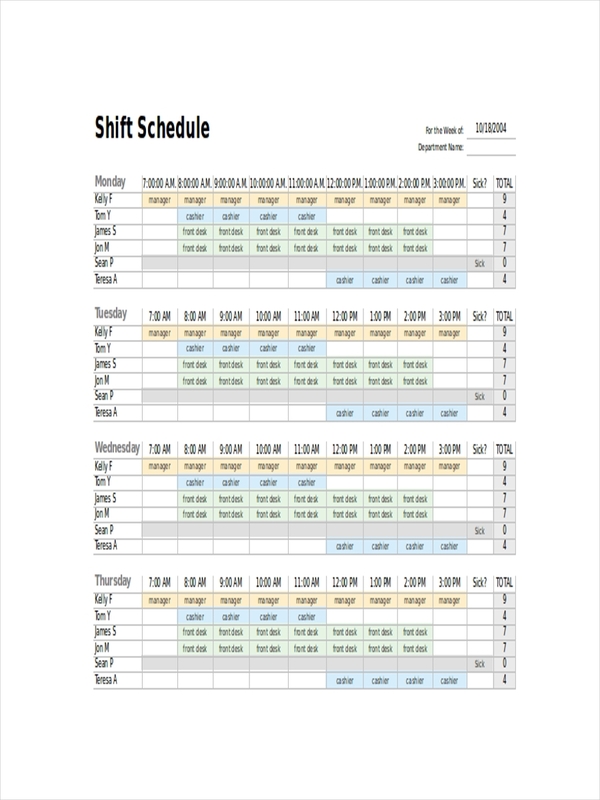 A shift schedule works at a basic and minimal process. It does not require intensive research to fully understand how it actually works. Let us use a twenty-four-hour operation to easily set out a clear picture. There are three employee schedules in this given scenario—Bob, Stuart, and Kevin. Bob has to work from seven in the morning to three in afternoon and has to take the first shift. They are only allowed to work sche eight hours a day. Once Bob’s shift ends, Stuart has to start working to cover the remaining hours of the day as well as Kevin who will take the last shift. 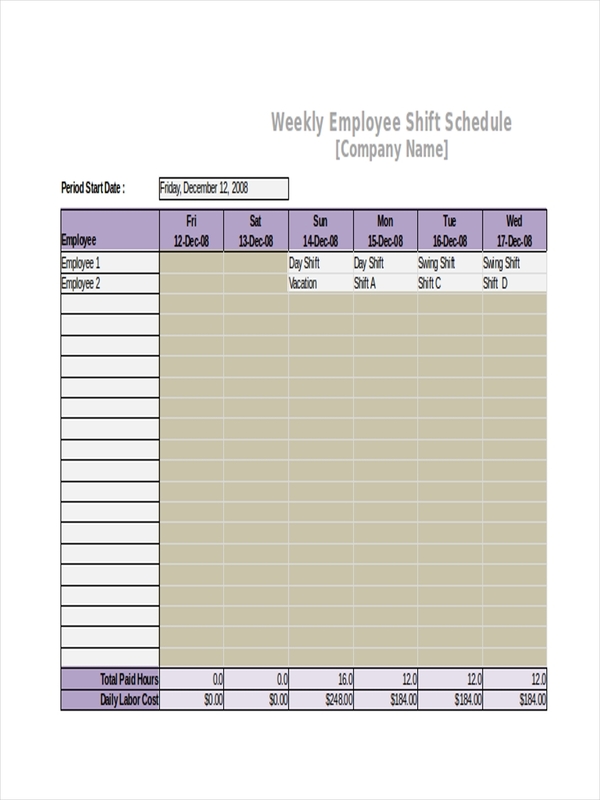 A shift schedule provides a beneficial support for a business, much more if it is designed to effectively handle and manage the entire workforce. There are many ways on how it can be of importance to a company. One of it is it can be used for employee management. When you have a shift sample schedule, you can control the number of people who are working lest you avoid paying those who are in the office yet become unproductive. In addition to that, it allows you to meet a client’s demand. They would usually set targets for productivity and setting a shift schedule could be your solution. When you are making a shift schedule, you have to use multiple options to come up with an effective one. Understand the business. Knowing the core of the business and its objectives should be your priority. If it demands hitting a quota in a month, then you can plan ahead of time. Know the numbers. You need to study the total number of employees in the company. 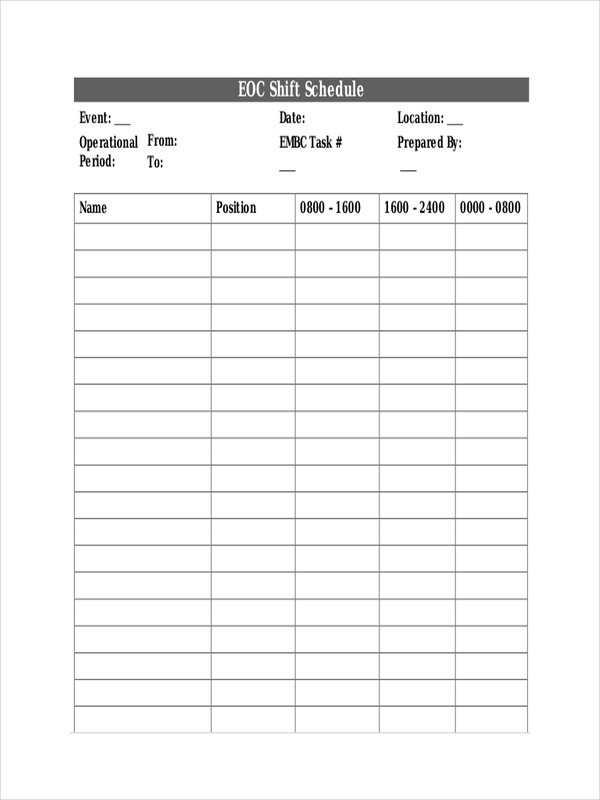 This is important so you can set how many people need to work in a day. Set the timescales. When you have come up with the numbers, then easily set flexible schedules. 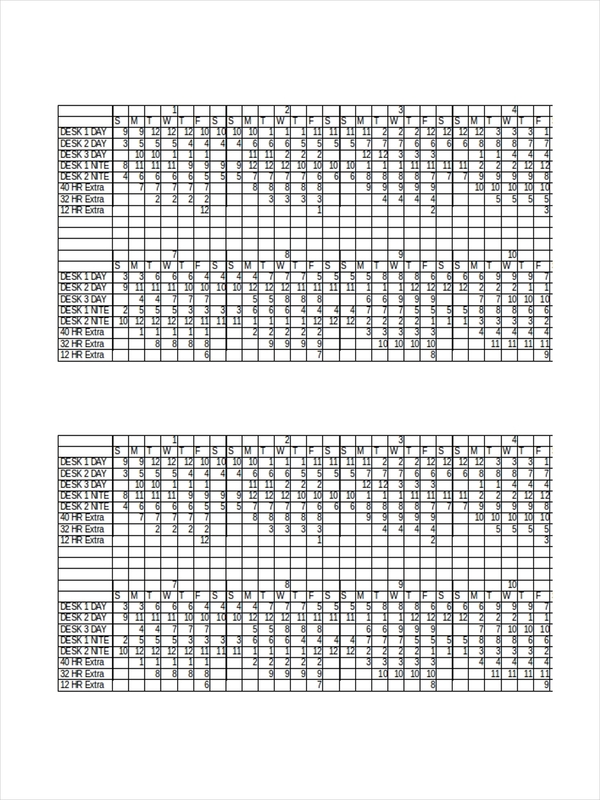 As an advice, try to use a schedule in PDF format so you can easily plot the times.